Complete the information below and we will contact you promptly. 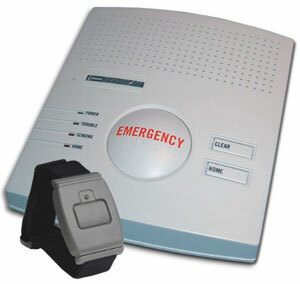 Complete Security and Sound offers Medical Alert Monitoring. We have two models to choose from. 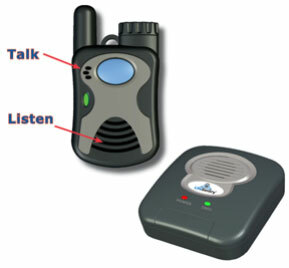 One type offers voice communication via a pendant and the other device activates a call for help when pressed. The voice model pendant is worn around your neck, on a belt holder, or as a wrist watch. When you press the alert button, the central station operator will talk through the pendant and you will able to talk to them back. 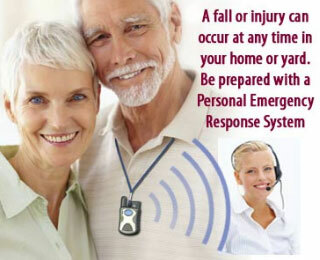 There are other medical alerts that are on the market that have voice communication at the console, but we feel it is better to have the communication at your fingertips on the pendant. Emergencies can happen anywhere in your home and even in the yard or driveway. Your pendant will allow you to communicate your message instantly and efficiently from anywhere in and around your home. Just a push of the button activates your pendant. The base station plugs into any standard telephone jack. The system will cover an average size home and into the front, back and side yards. This model pendant is worn around your neck or on your wrist. The pendant is much smaller than the pendant that has the voice feature, so some people prefer it. When you press the button, the light on the pendant comes on and the console beeps while it is communicating with the central stations operator. You also have a large “Emergency” button on the face of the console that you can press if your console is within reach. Local Company – We are here in Dothan to serve you when you have a question. We just don’t send system in the mail for you to install. We deliver, set up, and test system. No long term agreement – Month-to-month service. Cancel when you want. No equipment to purchase – Equipment is leased. You choose how you want to pay: Electronic Draft by month or mailed quarterly invoice. © Copyright cssdothan.com. Website by Kelley Computer Concepts.